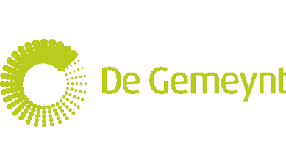 De Gemeynt is a cooperative of independent consultants, thinkers and entrepreneurs in the Netherlands working at the interface between economics and ecology, and promoting collaboration between key parties in pursuit of sustainable solutions. De Gemeynt – an old Dutch term for “the Commons” – is a notion that few today recognise, but that stands precisely for what we aspire to, what we are engaged in and how we go about it. In a previous age, ‘the commons’ referred to the wildlands around human settlements, or in other words the natural resources available to a community, and the means by which they were administered. Only through cooperative effort and agreement on appropriate management of these local resources could they be sustainably nurtured, without depleting the natural capital they represent. Besides the commons, those using them had cares and concerns of their own, of course, often in competition with one another. When it came to the commons they collaborated, though, because only through cooperation could the potential uses and benefits of these resources be fully utilised. People often respond emotionally to proposed sustainable innovations, for example when resisting the siting of windmills. This project develops an approach to take such emotions constructively into account in order to develop responsible innovations.